Hundreds of sold out shows, three full length nationally released albums, one legendary mixtape, and the title of 2010 Strange Music MVP all define the career of Kutt Calhoun. The Kansas City MC has spent over a decade with Strange Music, and despite being a fan favorite, has always felt like the outcast on the independent label. Never has this sentiment been more clear than on the brand new EP, Red-Headed Stepchild. The oddly named release gave fans the ammunition to spark speculation regarding Kutt’s feelings about Strange Music. As Kutt would later clear up, the name was not a shot at anyone, but rather how he felt about his place in life. An outcast to family, friends, fans, and the music industry, Kutt Calhoun was out to blast everyone that has ever held him down or doubted his abilities. The hunger in Kutt Calhoun is still there as the EP highlights the best that Kutt has to offer. With an appetite for glory, fame, immortality, and all things in excess, Red-Headed Stepchild keeps things brief, but ever so powerful for the Kansas City Chief. Opening with a candid interview, Kutt wastes no time in addressing the title of the EP and sincerely clearing up any rumors of problems with Strange Music. Taking on the name like a battle cry, Kutt shoots into the EP with “All By My Lonely”. The somber and yet menacing track creeps in with a soft melody that sets the stage for Kutt to reach deep inside and find the focus to take himself to the top. Written like a declaration of his own independence, Kutt assures every critic that no matter what, he will do it on his own if necessary, and still succeed. The track catches listeners off guard who may be accustomed to hearing explosive opening tracks from Kutt. Instead, “All By My Lonely” leaves the fireworks at home and brings along BG Bulletwound for an introspective look at Kutt’s attitude in the rap game. If he can’t do for himself, no one will, and that is the theme that follows the Red-Headed Stepchild. Things pick up for “Child’s Play”, as Kutt comfortably steps into the role of commanding MC. 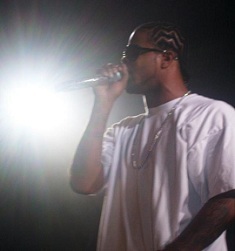 Led by the sampled and looped cries of a child, the production comes courtesy of Tali Blanco, who also provided the EP with “All By My Lonely”. Rougher and louder than the opener, “Child’s Play” finds Kutt firing off with his mean streak as he clowns other MCs for being nothing more than, well, child’s play. Heavy horns drag their way across the track, giving it the weight of a monster and slamming sound systems while Kutt sways back and forth on pitch perfect verses. The first two tracks of the EP are clear signs of Kutt’s unwavering motivation to be the best. It’s like watching a fire grow inside Kutt all over again. Before leaving listeners, Kutt delivers what could possibly one of the best tracks of his entire career. Like a king watching from above, he glides over “I’m Forever”, produced by Wyshmaster. Everything Kutt built up to is explained and defined to absolute perfection here. 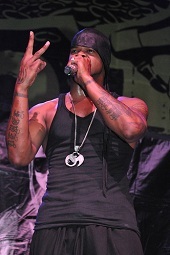 Kutt Calhoun is immortal as far as he is concerned, and his music is what holds him there. Krizz Kaliko cuts in with a soothing and inspiring hook, that although simple in nature, will stick with fans far beyond a first listen. What “Immortal” was to Krizz Kaliko is exactly what “I’m Forever” is to Kutt Calhoun. 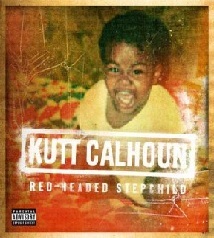 Strong, defiant, and unchained, Kutt finishes Red-Headed Stepchild on one of the highest notes he can. It’s difficult to expect much out of an EP, but not with an artist like Kutt Calhoun. In only twenty minutes or so of music, he creates a completely open look at himself and his place in music. From his insecurities as an outcast to his warrior like words on “I’m The One” and “I’m Forever”, Kutt Calhoun aims to give fans a little bit of everything. Being a Red-Headed Stepchild becomes a secondary priority, as fans have completely embraced the Kansas City Chief for who he is.